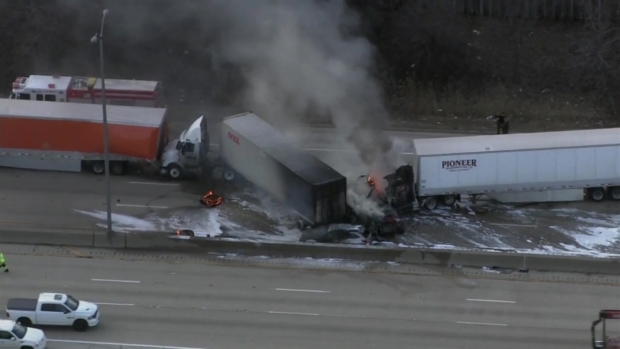 All lanes of the Eisenhower Expressway reopened early Friday, hours after a deadly multi-vehicle crash near west suburban Elmhurst. 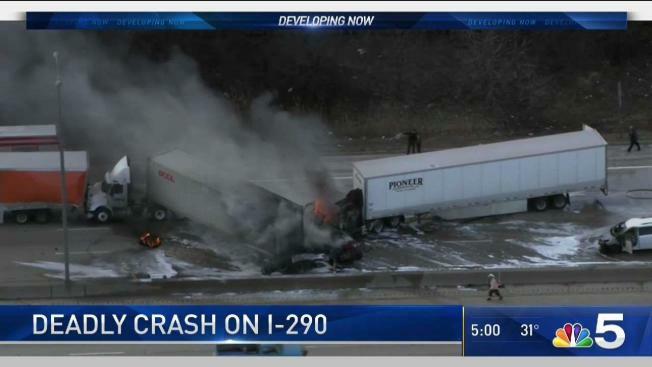 One person was killed and several others injured in the fiery crash just before 2 p.m. in the inbound lanes of Interstate 290 near St. Charles Road, according to Illinois State Police. The crash involved seven vehicles: three semi-trucks, a red 2004 Chrysler sedan, a white 2018 Toyota van, a black 2016 Ford SUV and a gold 2016 Subaru, authorities said. One person was killed, ISP said. Further details, including the victim's age and identity, were not immediately available. Two drivers were taken to Elmhurst Hospital and another to Loyola University Medical Center in Maywood, according to police, all with injuries that were now believed to be life-threatening. All other drivers were treated at the scene, officials said.